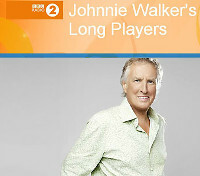 The new series of Johnnie Walker's Long Players begins tomorrow night on the UK's BBC Radio 2, at 11pm BST. It's a special episode too - tying in with Radio 2's 50th birthday, they feature a key album and the singles that surrounded it in 1967. The subject of this 57 minute show is The Piper At The Gates of Dawn; the band's innovative, exciting and acclaimed debut, the start of a road which took the Floyd to sales of more than 200 million (and still counting today) across the world. Johnnie is joined by former architecture student and founding drummer with the band, Nick Mason, and his friend Aubrey 'Po' Powell, who grew up in Cambridge with David Gilmour and the late Syd Barrett. Po co-founded Hipgnosis (who designed most of the Floyd's album sleeves and photography) and is curator of 'Their Mortal Remains', which chronicles Pink Floyd's entire history at London's V&A Museum (which has just four weeks left before it closes). BBC Radio 2 can be heard in the UK on FM and DAB radio, digital cable, satellite and Freeview, and in selected countries across Europe. It can also be heard via the BBC website live or by using the iPlayer service on demand. Our thanks to all of you who dropped us a line about this upcoming show.